I have really been enjoying cooking for Gray. He really did not get into any food until he was one, he was just was not interested. He also did not get teeth until then as well so I wonder if it was due to that as well. Even though he started later it has still been so much fun cooking for him. Right now at fourteen and a half months he is still eating things pretty mashed up. We still have not started meat and have been slow with the dairy, and light on gluten. He eats a lot of beans! He eats a ton of veggies and all sorts of fruits. He is big into blueberries, especially when he finds them embedded in his pancakes. I used egg substitute for quite awhile because it seemed that he was sensitive to it. Recommendation is generally egg yolk after six months, egg white after one year. Since we started after one year I thought I could be a little more liberal, that did not work out for us. So I used either just the yolk, and when that would not work I used an egg substitute. He seems just fine with a whole egg now. For milk, I use coconut milk. Gray is still nursing so I only use the coconut milk in baking, eggs, smoothies etc. I also love to use coconut oil! I will have to do a separate post on coconut products, there is too much to tell! It seems to be quite controversial, some say its fine, some say it’s not. The info I found was from a few years ago so I am not sure if companies have found something to use other then BPA. 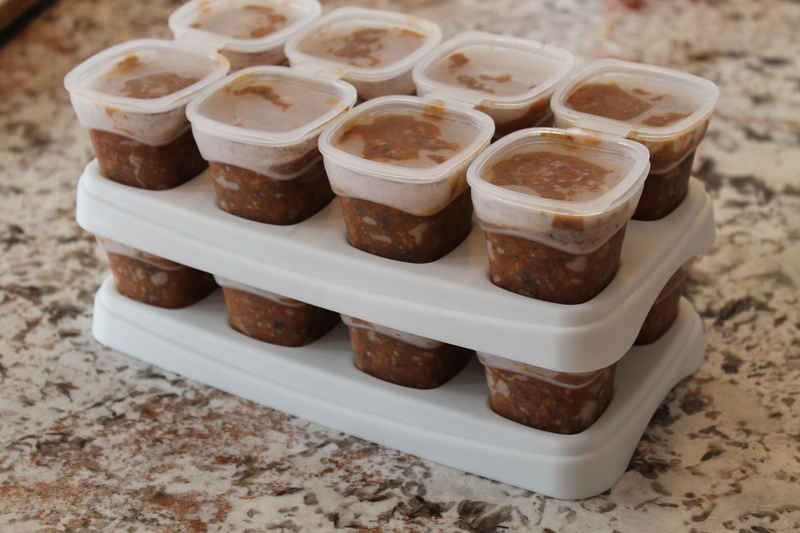 Another thing I do is use baby cubes to freeze Grays food. Here they are: http://well.ca/products/baby-cubes-stage-1_12046.html They are fantastic, I fill them up, freeze them, and then label a freezer bag and pop the little cubes in. I take out 3 cubes for each meal. You can get different sizes, I still just use the smallest ones because that is what I already had, the size works well for us. I think his favorite thing since he has started eating has been sweet potato fries. He loves them! I just slice them up, you can do it in the typical fries shape or in rounds. I take a bit of olive oil and toss them in a bowl, sprinkle with cinnamon and put them in a 400*F oven for about 10 minutes, then flip and repeat. I just check for doneness basically so you can easily put a fork through, when he was first starting I made them extra squishy. There is a puree that he has always loved and is packed with nutrients. I just blend a pear, avocado, banana, and a 1/2 cup of frozen bluberries. He loves it and it kind of has the consistency of soft ice cream. 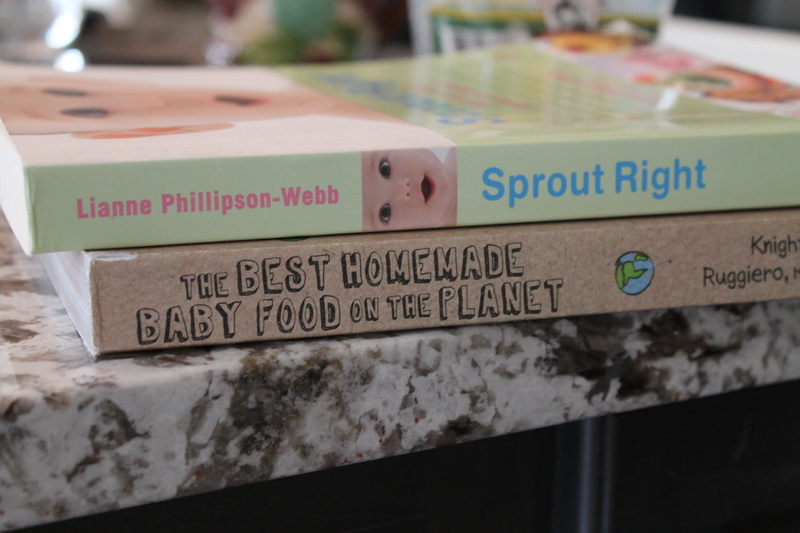 Along with the internet, I have two books that have been my favorite. 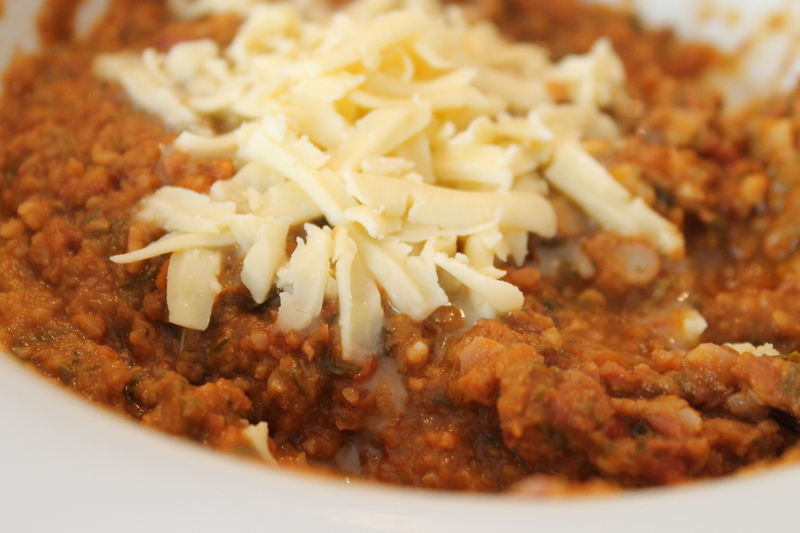 His favorite from the ‘Sprout Right’ cookbook has been the vegetarian chili. You can pack a ton of veggies into this chili. The recipe here is adapted from the book, I have changed things around a bit. * Chop all of the above. Put a tbsp of coconut oil or olive oil in a large pot and add the onion and garlic. Cook until tender. 1 jar (739 mL) of tomato sauce I use this one: http://well.ca/products/simply-natural-organic-tomato-with_19729.html you can get a case at costco for much cheaper! * Put the rest of your chopped veggies along with the chili powder, tomatoes, and kidney beans in your pot. What I do at this point is see how I am doing for liquid. You want to make sure you have enough liquid for all your veggies to simmer. I probably add about 2 cups of water. I then just let it simmer for a few hours on the stove. It could be eaten just as it is. I am currently still mashing it up with my immersion blender. You can add a little mozzarella and serve! 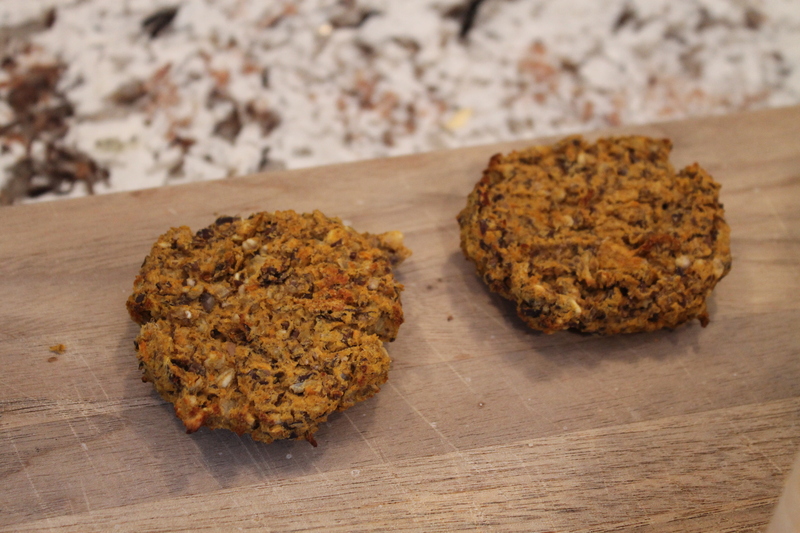 One that we have just tried is a recipes for black bean and sweet potato cakes. Below is my version. To find the originial you can click on the link above. Soak the beans overnight, changing the soaking water at least once. until the beans are tender. Drain. onion and garlic until tender. 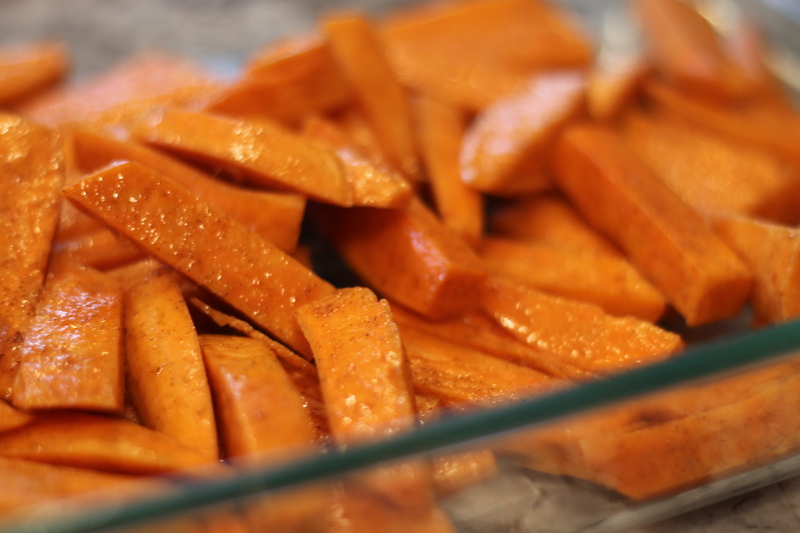 sweet potato. Add oats to firm up mixture, I started with 1/4 cup and that was enough, but you made need more to firm up the mixture to make the cake shapes. Form the mixture into little cakes (patties) of a size of your choosing and refrigerate for 1 hour. Place on a greased baking sheet and spray with a little olive oil. Place under the grill/broiler and cook for 6 to 8 mins until golden, then turn and repeat on the other side. Cool to a safe temperature and serve. TIP: This recipes yields around 14 to 16 little cakes.You can freeze excess cakes for future use – I froze them before cooking, I will just broil them as needed. Hope you like these recipes. Let me know if you gave any of them a try. Hi Beth, Great recipes, I’m going to try a couple. I wish brad liked beans. With the bpa’s in the tins, I read a while ago that its only the tins that have the white plastic lining inside. Unfortunately it’s a bit of trial and error to find the ones without the liner, but there are still lots of tinned products out there that are still ok.
Oh thats good to know about the tin cans. And at least when you find ones without it then you know you can stick to that brand! Thanks!